The IB Primary Years Programme, offered at over 900 authorized schools worldwide, is a guided inquiry-based teaching method that centers on student questions. Rather than working through a standard lesson and learning facts, students study a central idea by creating and exploring their own questions. Through this concept-driven process, students gain deep content understanding while learning the skills to acquire, organize, and communicate knowledge. It is those skills that enable children to become independent learners, capable of pursuing knowledge beyond the classroom and throughout life. Each PYP unit begins by assessing students’ prior knowledge on a central idea and pre-determined lines of inquiry. Then the students formulate questions based on what they want to know about the topic. Those student questions start the cycle of inquiry that guides every PYP lesson. Teachers support the student-led inquiry with age-appropriate resources and activities to guide and structure the learning. It’s an approach that works at every grade level to provide challenges for every student. TIS was the first IB Primary Years Programme school in the Northwest, authorized in March 2010. 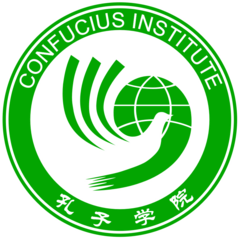 On April 15, 2011, TIS became one of 13 Oregon schools, prek through high school, to become a “Confucius Classroom”, designated by the Chinese government-affiliated Hanban Chinese Language Council. OregonLive.com reported that about 300 people attended the ceremony, welcoming a 41-person Chinese delegation. “Children like Eliot are of vital significance to Sino-American friendship,” observed Liu Yandong. Since November 2006, TIS has been an International Spanish Academy (ISA), part of an international cooperative educational project between American schools and the Ministry of Education and Science of Spain. As an ISA, The International School has access to resources such as language and culture assistants, school exchanges, materials and teaching resources, scholarships for summer institutes, visiting teaching specialists, and professional development for teachers. In addition, TIS participates in the North American network of ISAs and has connections to other Spanish and international organizations devoted to the promotion of the Spanish language and culture. Foster the use of the Spanish language both within and outside the school environment. The ISA program was formed by the Spanish government to develop quality Spanish-English education which will promote high academic standards for all students. The program’s goals include providing students with the values of multicultural education and fostering international relations and the understanding between cultures.